Athletic Bilbao topped off a poor week for Atletico Madrid by defeating them 2-0, with Atletico looking uninspired and lacking confidence. Atletico struggled to both break Bilbao down and defend against them, which ultimately led to their defeat. In this tactical analysis, I will show you how Bilbao managed to break down a usually compact Atletico side, why Atletico struggled in such a vital fixture in La Liga and why Antoine Griezmann initially hindered Atletico’s game plan. Bilbao lined up in a 4-2-3-1, which as I will touch on became a 4-4-2 when out of possession. Atletico started with a 4-4-2, but in the second half switched to a 4-3-3. The use of Saul at left full back hurt Atletico in the game and it was clear to see he is not a natural full back, but with injuries to Filipe Luis and Lucas Hernandez, Atletico were left with little choice. We can see here Bilbao’s 4-4-2, which matched up man to man with Atletico and meant they were difficult to break down. Bilbao’s wide midfielders could cut the passing lane to the high full back of Atletico and remain compact in the middle, by shifting across effectively, something which Atletico unusually did not. Atletico chose to play long from every goal kick, seemingly worried about being pressed by Bilbao. Bilbao’s double pivot, however, were available to sweep balls up between the defence and attack where the ball often dropped after touches from goal kicks. This meant Atletico struggled to build initially, whereas if they could have used press resistant players such as Saul at left back to play from the back they may have been able to draw Bilbao players forward and exploit spaces behind. However, in open play, Atletico’s back line looked very vulnerable to the press of Bilbao despite it being a fairly non-aggressive but pacey press thanks to Williams and so this may have factored into their decision. You may have noticed in the lineups that Griezmann started on the right wing for Atletico, which hindered their usual compactness as a side. Below we can see Rodri and Koke matched up 2v2 in good positions. Partey is then too far away from Rodri, but this isn’t his fault. Griezmann on the wing is not helping his side defensively at all and is forcing Partey to cover the man in the middle, leaving masses of space for Bilbao to play between the lines. If Griezmann moves across and covers Partey’s man, Partey can also move across and cut that large space. Griezmann also showed that he is not a natural winger with his defensive awareness in situations, where again he allowed Bilbao to penetrate Atletico’s midfield block. Here Griezmann is covering the backwards pass, where he should really be encouraging that pass by dropping back into the diagonal passing lane highlighted. If Griezmann is deeper, Bilbao are forced to play the ball laterally or backwards, where they can then be pressed by Costa and Morata up front. Also, notice just how narrow the midfield four is compared to the previous photo, but Griezmann’s lack of awareness meant it still didn’t work for Atletico and that they couldn’t win the ball back in meaningful areas and counter in moments of transition. However, with Griezmann’s role came the benefit of his excellent offensive abilities, but opportunities for him to use these were few and far between due to Atletico being unable to win the ball back in meaningful areas and because of Bilbao’s matching up of formations. After seeing Griezmann struggling offensively and defensively in the first half, Simeone switched to a 4-3-3 with Griezmann playing in a much more narrow role as part of the front three. This meant that Griezmann had less responsibility to maintain his position within a block and could instead focus on his position when awaiting transitions. This led to some opportunities for Atletico in transition and gave Griezmann the ability to better combine with Morata and Costa. If Atletico were still in a 4-4-2 in this situation below, Griezmann would not have the freedom to await the transition and would instead be focused on maintaining his position within the block. This change by Simeone benefited Atletico offensively in the second half but therefore obviously weakened them defensively. In truth, I felt Atletico played quite well and had some decisions gone their way could have found themselves leading going into the final 20 minutes. A mistake by Gimenez who had the chance to clear the ball ultimately cost them and rounded off a poor week for Atletico. If you love tactical analysis, then you’ll love the digital magazines from totalfootballanalysis.com – a guaranteed 100+ pages of pure tactical analysis covering topics from the Premier League, Serie A, La Liga, Bundesliga and many, many more. Buy your copy of the March issue for just ₤4.99 here, or even better sign up for a ₤50 annual membership (12 monthly issues plus the annual review) right here. Next articleTactical breakdown: What change did Eddie Howe make to get Bournemouth back into the game? Who will reach the final of the UEFA Champions League? 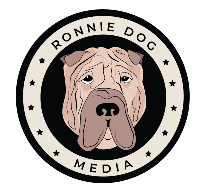 © Copyright 2019 - Ronnie Dog Media All Rights Reserved.